From meetings to magnificent dinners. 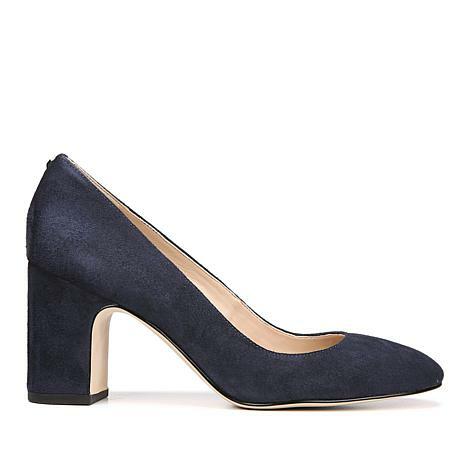 This pump gives you the height you love in a luxe navy suede. Pair them with your dresses, your denim jeans and tees and all your favorite one and two-piece (or 3-piece) ensembles. Designer Sam Edelman doesn’t just keep up with the trends…he creates them. His clever combination of classical and bohemian styling says high fashion while the price tags don’t. Show off your independent streak with this versatile and affordably chic collection that’s unlike anything you’ve ever seen. Remind me about Sam Edelman upcoming shows.